Individuals in early recovery from addiction often attempt to suppress craving for drugs and alcohol as a means of maintaining abstinence. However, these suppression attempts often backfire, resulting in depletion of self-control resources (1, 179) and a consequent rebound of substance-related thoughts (50, 51). Critically, attempted avoidance of substance cue-reactivity may prevent extinction learning from occurring, which requires inhibition of conditioned responses in the presence of conditioned stimuli. 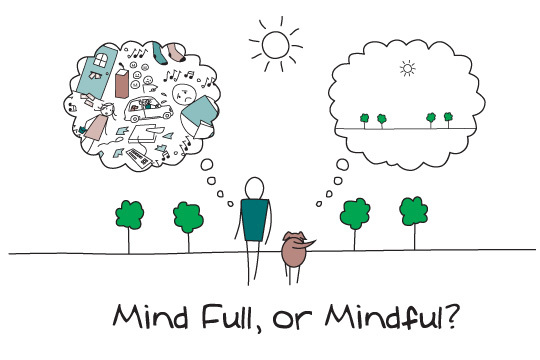 In contrast, mindfulness training provides an effective alternative to suppressing unwanted substance-related thoughts, emotions, and urges by promoting acceptance of and exposure to these mental experiences. By learning to tolerate aversive psychological events through acceptance rather than avoidance, mindful exposure to substance-related thoughts and cues may prevent the post-suppression rebound effect and facilitate desensitization to conditioned stimuli (78). When engaged over time, this practice might result in extinction learning of previously conditioned associations between substance cue-reactivity and addictive behaviors. In support of this hypothesis, changes in thought suppression have been shown to partially mediate effects of mindfulness training on alcohol use and drinking consequences (180). Furthermore, Mindfulness-Oriented Recovery Enhancement treatment led to significant reductions in thought suppression which were associated with improved capacity to inhibit drinking urges, decreased alcohol attentional bias, and increased HRV recovery from stress and alcohol cues (7). Relatedly, among a sample of persons in long-term treatment for co-occurring psychiatric and substance use disorders, individuals with higher levels of dispositional mindfulness exhibited less craving for substances and were less likely to develop post-traumatic stress symptoms in response to trauma (66). Thus, MBIs may reduce the tendency to suppress aversive psychological experiences, thereby allowing urges that had been previously suppressed to become accessible to explicit cognitive control. As suppression decreases, controlled cognitive processing can be more effectively deployed to inhibit and counter addictive responses. The effects of MBIs on cognitive regulation of extinction learning might be measured by combining neuroimaging, self-reported craving, and self-reported emotion regulatory strategy during a drug cue-reactivity paradigm. Pre- and post-mindfulness training, addicts could participate in cue-exposure sessions (e.g., a smoker might be asked to handle cigarettes, ashtrays, and lighters without smoking for a limited period of time, followed by an ad libitumsmoking session) in which skin conductance, heart rate, and craving responses could be measured throughout. If mindfulness enhances cognitive regulation of extinction learning, cue-elicited skin conductance, heart rate, and self-reported craving would be reduced following mindfulness training relative to an active control intervention, as would drug-use following the cue-exposure session. Although we have described the aforementioned therapeutic mechanisms of mindfulness-centered regulation as discrete processes linked in a sequential, linear fashion, in actuality they often run in parallel and may be linked in a recursive, self-reinforcing system of positive feedback loops. Figure 2depicts the hypothesized interactions between these processes and therapeutic targets of MBIs. In contrast to mindfulness, which leads to cognitive and behavioral flexibility, addiction may be characterized by mindlessness, i.e., habitual or scripted responses that are often deployed automatically without conscious volition or regard for goodness-of-fit with present goals or the socioenvironmental context. Although procurement of many psychoactive substances requires significant planning and intentionality, the appetitive drive that motivates drug seeking may emerge in a context of mindlessness, manifested as obsessional thoughts of using and compulsive urges that seem to arise in an unbidden and intrusive fashion in direct contradiction to rational decision making. Moreover, the behavioral routines involved in the ritual of drug administration can become automated and executed mindlessly in much the same was as other complex repertoires can be engaged without conscious volition by conditioned contextual cues (26). Hence, individuals treated for substance dependence with higher levels of mindlessness tend to experience higher levels of craving (66) and consume larger quantities of addictive substances than their more mindful counterparts (1). These findings suggest that habitual, reflexive responding can confer vulnerability to individuals in recovery. Conversely, greater attention to and awareness of one’s reactions to substance-related cues predicts less substance use among persons in recovery from addiction (111). In light of Tiffany’s (20) proposal that automaticity drives appetitive addictive responses, mindfulness of one’s automatized reactions would presumably allow for greater self-regulation of mindless reactions elicited by drug-cues, and increase proactive cognitive control over substance use. Addiction involves deleterious neuroplastic changes in frontal-striatal-limbic circuitry that results from chronic drug-use. We hypothesize that this drug-induced neuroplasticity may be remediated through participation in MBIs. Specific knowledge of the neuroplastic alterations underpinning dysregulated circuit-function in addiction may inform treatment development efforts to drive the next generation of MBIs. For example, in light of evidence that dopaminergic salience networks involved in normal human learning and reward become usurped during the addictive process and biased in favor of drug-relevant stimuli, MBIs should be explicitly tailored to address reward processing deficits by emphasizing skills that enhance savoring of natural, non-drug related rewards. Though most current MBIs have underemphasized this potential treatment target, one novel MBI, Mindfulness-Oriented Recovery Enhancement (6–8) places a special emphasis on providing training in mindful savoring as an approach to restoring natural reward responsiveness. Concomitantly, a growing recognition of the role of attentional bias in addiction points to the potential clinical utility of focused attention forms of mindfulness practice as means of strengthening lateral frontal (dlPFC)-parietal networks involved in attentional (re)orienting from drug-cues; in that regard, recent ERP analyses of EEG data suggest that regular, brief mindfulness practice of focused attention on respiratory sensations strengthens electrophysiological indices of enhanced attentional control (181). 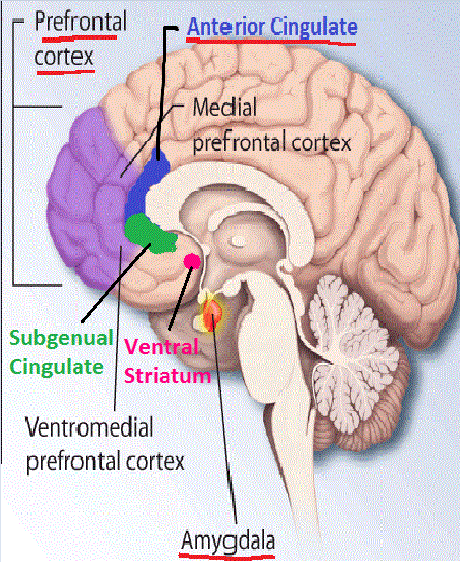 Conversely, open monitoring forms of mindfulness meditation that target medial frontal (ACC)-parietal-thalamic regulation of striatal circuits might be most useful for generating awareness of cue-elicited activation of drug-use action schemas and could enable the practitioner to regain conscious cognitive control of automatized addictive behavioral routines. Thus, translating findings from the leading edge of neuroscience into the treatment development process may result in ever more specialized and efficacious MBIs targeted to meet the unique challenges of addictions treatment. Importantly, although various drugs of abuse do share some common neurobiological underpinnings, there is also variability in the circuit-level function associated with different psychoactive agents. Similarly, while addiction to drugs may share overarching neural substrates with some behavioral addictions [e.g., food addiction, (182)], there may be important differences in the functional connectivity or node strength of neural networks involved in these various forms of addiction. Despite these differences, given our assertion that MBIs strengthen domain-general neurocognitive resources that can be used to target common transdiagnostic processes (i.e., automaticity, attentional bias, appraisal, emotion regulation, cue-elicited craving, stress reactivity, and extinction learning) we hypothesize that MBIs would have similar efficacy across a wide range of addictions. In contrast, the efficacy of MBIs may be moderated by key individual differences – an, important understudied area of research crucial to understanding the path from drug initiation to dependence to recovery. For instance, we hypothesize that extant MBIs may be less effective for individuals lacking motivation or readiness to change, because current programs do not integrate motivational components with mindfulness training, and evidence suggests that mindfulness alone may not facilitate readiness to change (Garland et al., submitted for publication). Similarly, MBIs may be more effective for individuals in early to late abstinence as opposed to individuals in active addiction; exposure to ubiquitous drug-related cues and an environment that affords ready access to drugs may promote a more automatized form of drug-use (20) that does not allow a novitiate of mindfulness (whose prefrontally mediated executive functions have atrophied due to years of drug-use) to marshal proactive cognitive control via mindfulness practice. 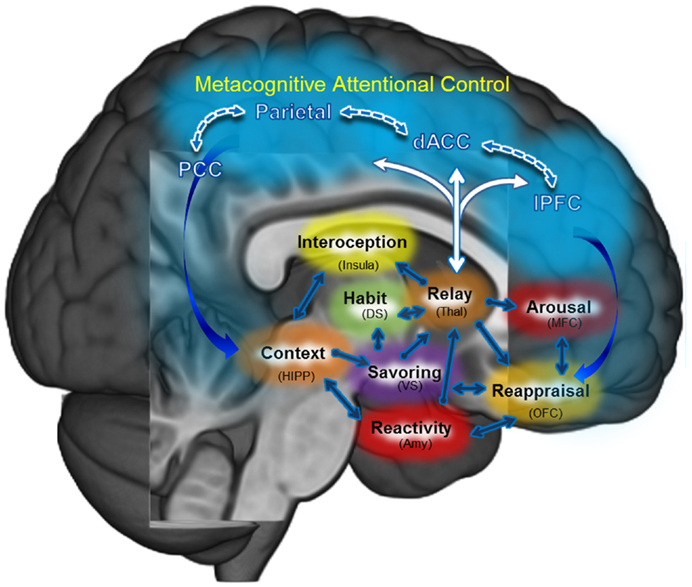 In contrast, inpatient treatment settings may provide respite from cue-elicited craving and contextual triggers of striatally mediated habit responses, and therefore allow a fledgling mindfulness practitioner the opportunity to exercise PFC functionality in a safe environment until it has reached sufficient strength to allow the person to navigate a socio-cultural context beset by stressors and conditioned appetitive stimuli. Thus, mindfulness training may have heterogeneous effects across individuals depending on the natural history and trajectory of their addiction and treatment process. The conceptual framework we have outlined in this paper may also have utility in developing temporally sequenced descriptions of neurocognitive processes targeted by MBIs. We offer the following speculative, hypothetical account based on our clinical and research experience using MBIs to treat persons diagnosed with substance use disorders. 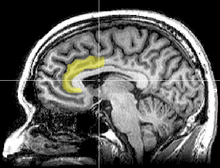 When a recovering addict with a history of using drugs to cope with negative emotions encounters a cue associated with past drug-use episodes while in the context of a stressful environment (e.g., walking past a bar after getting in an argument with a work supervisor), this encounter may activate cortico-limbic-striatal circuits subserving drug-use action schemas. After completing a course in mindfulness training, the addict may become more aware of the automatic addictive habit as it is activated, allowing for top-down regulation of the precipitating negative emotional state and the bottom-up appetitive urge. Specifically, the individual may engage in mindful breathing to first disengage from and then restructure negative cognitive appraisals, thereby reducing limbic (e.g., amygdala) activity, autonomic reactivity, and dysphoric emotions related to the stressor. Concurrently, the individual may become aware of when his attention has been automatically captured by the sight of people drinking in the window of the bar, and, through formal mindfulness practice, activate fronto-parietal mediated attentional networks to disengage and shift focus onto the neutral sensation of respiration. During this process, as sensations of craving arise, the individual may engage in metacognitive monitoring of these sensations, and in so doing, facilitate prefrontal down-regulation of limbic-striatal activation. As mindfulness of craving is sustained over time without drug-use, the sensations of craving may abate, promoting extinction learning to weaken associative linkages between conditioned addiction-related stimuli and the attendant conditioned appetitive response. Once working memory has been cleared of active representations of substance use, the individual may shift attention to savor non-drug related rewards, such as the sense of accomplishment that may arise from successfully resisting the temptation to drink (i.e., self-efficacy), appreciating the beauty of the sunset on the walk home without being clouded by inebriation, or the comforting touch of a loved one upon returning home safe and sober. Through repeated practice of regulating addictive responses and extracting pleasure from life in the absence of substance use, the individual may re-establish healthy dopaminergic tone and foster neuroplasticity in brain areas subserving increased dispositional mindfulness. I will critique this very interesting model in due course. Apart for the 12 step program of recovery, the other reasons for me still being alive today are my wife and mindfulness meditation. All the periods I have struggled in my recovery have coincided with me not meditating properly. I spent a number of years learning and practicing Vispassana meditation, learning the techniques in a fairly expert way at various 10 day retreats. Vispassana is also referred to as insight meditation and forms the basis of the western version of Mindfulness meditation developed by people like Jon Kabat Zin. What meditation does to the brain has just started to be be fully explored in the last couple of decades. I can only speak form my own experience. When I meditate I regulate my emotions than when I do not. My emotions seem more modulated, their intensity is manageable and they are much shorter in duration. My stress and distress levels are also greatly reduced and I have better facility for living in the moment, the now. In the next few blogs I will be further exploring the use of meditation in the treatment of addictive behaviours. I would urge every one in recovery to at least explore a meditation class to see if it can benefit their recovery too. Life is much easier when I meditate, less so when I don’t. The video below is an introduction to the work of Jon Kabat Zin and The Centre for Mindfulness in Medicine who have been a visionary force and global leader in mind-body medicine for thirty years and more, pioneering the integration of mindfulness meditation and other approaches based on mindfulness in traditional medicine and health through patient care, academic medical research and vocational training, and in society in general through various outreach initiatives and public service. When I first came into recovery I constantly heard the refrain about “getting out of self” – in fact steps 10-12 help one do so. Step 12, by helping others in recovery and step 11 which encourages prayer and mediation. Can we get out of “self” by prayer and mediation? 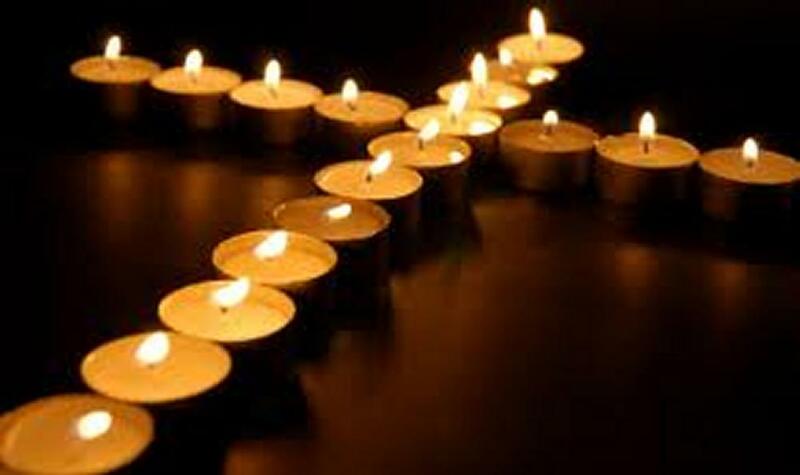 I will be dedicating a number of blogs to mediation so will just briefly consider prayer here. In one study Franciscan nuns had their brains imaged via SPECT which looked at blood-flow in their brains while they were engaged in a type of mystic union called ‘centring prayer’ which involves opening themselves to being in the presence of God (and not in “self”). 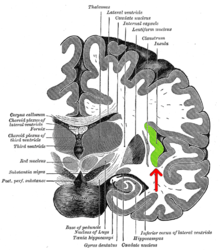 In centring prayer the nuns had a “loss of usual forms of space During prayer there was demonstrated increase in blood flow in the PFC inferior parietal and inferior frontal lobes and a decreased flow in the superior parietal lobe, which is related to feelings of “self”. which also makes one feel like they are no longer in “self”, that the self is an ephemeral reality, always changing so not static, fixed – the self is thus an illusion in a sense as it is constantly changing. Regardless, of their different origins, both when practiced can transport one to a place seemingly beyond feelings of being in self. The self seems to blend into a widen sense of consciousness without parameters or boundaries such as limited by self. In this state of being, one can view the fleeting images of the self dispassionately, not being moved by them or reacting to them. Images of the self dissolve like into snow flakes in snow. As we we will see in other blogs, meditation also reduces stress, improves neurotransmission in neurostransmitters effected by chronic addiction, e.g. GABA and strengthens neural regions of the brain that are very important to recovery. The findings of these and other studies of prayer bear some similarity to studies in meditators such as on Tibetan Buddhist meditators (1) so I would not get hung up on the apparent religiosity or non-religiosity of these ways of meditating. to me they achieve something very similar. It they work they Work! A beautiful and enriching respite from self regulation and a profound sense of wholeness, and connection with something beyond self whatever that being beyond self is. Therapeutically we have to somehow move beyond a reactionary self to a mindful one. From an emotional distressed one to a serene one. The brain is healthier after mediation than before. As mentioned in other blogs, without emotional distress this condition can be quite dormant. 1. Newberg, A. B., & Iversen, J. (2003). The neural basis of the complex mental task of meditation: neurotransmitter and neurochemical considerations. Medical hypotheses, 61(2), 282-291. 2. d’Aquili, E. G., & Newberg, A. B. (2000). The neuropsychology of aesthetic, spiritual, and mystical states. Zygon®, 35(1), 39-51.